His Holiness the Dalai Lama is on a surprise visit to Ulaanbaatar. He has arrived directly from Japan and clearly he had been issued a visa to visit, though this was not announced in advance. The last time, the Daila Lama visited Mongolia was in 2006. When the Dalai Lama visited Mongolia in 2002, the Chinese government reacted by interrupting traffic on the Transsiberian Railroad. The fact that the Mongolian government has decided to take a stance by issuing a visa for the visit (in contrast to the recent decision of the South African government, for example, a government to whom most observers would attribute more clout than to the Mongolian government which has to live with China as its Southern neighbour after all). Surely, this stance will lead to an immediate tongue lashing by the Chinese government and possibly more serious consequences in the coming days. The Dalai Lama is holding public teachings, and one which is taking place in the Sports Palace that has been constructed with Chinese funding. He will also be meeting Mongolian government officials at a reception, though they will simply happen to be at this reception, not meeting His Holiness specifically. This visit is also associated with another important event in the Mongolian Buddhist community. On November 2,2011, the 9th Bogd Javzandamba Hutagt was enthroned in Ulaanbaatar as the head of Gandantegchenlin monastery – the Center for Mongolian Buddhists, the largest monastery in Mongolia. The previous 8th Bogd Javzandamba was known as the Bogd Khan and ruled Mongolia from 1911 (independence from China) until the socialist revolution. The position of Bodg Khan was abolished in 1924 and the Republic of Mongolia was declared a secular state. The 9th Bogd was born in Tibet in 1932. He was identified as the incarnation of the 8th Bogd when he was 4 years old. In 1961, he feld to India. The Dalai Lama formally approved him as the incarnation of the 8th Bogd in 1992. In 2010, he obtained Mongolian citizenship. His enthronement prompted wide public attention in Mongolia. Some opposition from within the Mongolian Buddhist community criticized the Gandantegchenlin Monastery for not consulting with other head lamas of Buddhist monasteries and a group of head lamas or hambas has filed a lawsuit against the former head of Gandantegchenlin Monastery. 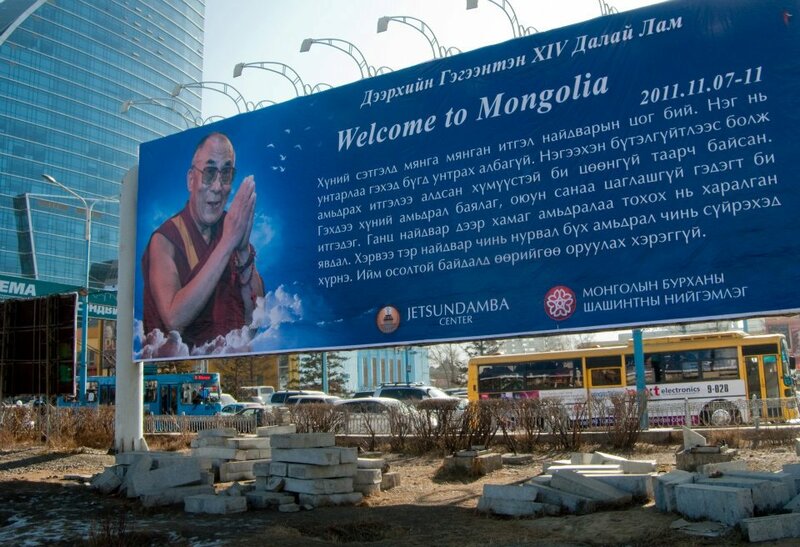 See also, Chris Devonshire-Ellis’ article, “Mongolia Enthrones its Dalai Lama“. This entry was posted in China, Dalai Lama, Mongolia and ..., Religion, Research on Mongolia. Bookmark the permalink.